Zelda Cavern - Not All Legends Fade! Through Nintendo of America's Twitter, they announced quite a nice surprise: Mario Odyssey and Breath of the Wild are getting updates to support the Nintendo Toy-Con VR Googles from The Nintendo Labo VR Kit. The footage shows both games still in third person. It seems Mario's game is some extra missions, and Breath of the Wild seems like it is going to have a new option in the game settings you can tick to activate the VR mode. 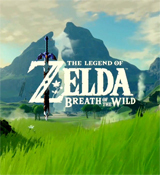 Now, before we get too excited, although there is a footnote saying "Prerendered cutscenes not compatible with VR" in the 50 second mark of the video as the Zelda footage begins, the video is still in third person and the warning just be that your VR won't work trying to watch this video footage. If that is the case, what we see is what we get and this will be theater mode and not a say, first person view through Link. I'll be happy to give it a go, so long don't have to keep the joycons in the console to play like the image in Nintendo's page of the kit. This gem of a game coming in few months was the surprise end of this month's Nindies presentation. As the name implies you'll rely on rhythm to defeat and progress through and defeat enemies. 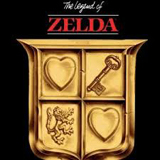 This game is a crossover with "Crypt of the Necromancer" with Zelda elements. It is quite interesting it is being treated as a indie game and so it that Nintendo agreeably allowed for such a collaboration. 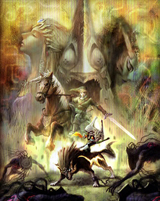 In the latest rhythmic action-adventure from Brace Yourself Games, you can enjoy the gameplay of Crypt of the Necrodancer in the setting of The Legend of Zelda series. 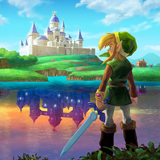 As Link—or even as Princess Zelda—you’ll explore the randomly generated overworld and dungeons on a quest to save Hyrule. 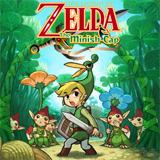 Every beat of each remixed, The Legend of Zelda tune is a chance to move, attack, defend, and more, so stay one step ahead of each enemy and boss…or face the music. Cadence of Hyrule is coming Spring 2019! I guess it is not long from now before we can have it on our Switch. I really like the character design with sprites. Are you guys gonna give it a chance? When this was originally announced, it was quite unexpected. Through Twitter, Nintendo of America just asked us to watch a video, and it was from there that Reggie explained his decision of leaving behind his Title as the President of Nintendo of America in a few months, coming April this year. He thanks the fans and talks a bit what it's been for him to work for Nintendo. It seems like filling his shoes is not going to be easy. Quite humorous that the person who'll have the honour and pressure to fill that spot is named Doug Bowser. I think no many of us even knew about hiom before this annoucement and from my understanding he's the Vice President of the Sales and Marketing department. He got a twitter account, thetruebowser, from which he seems to have good sense of humor and seems fine with the Last name and the jokes that people are coming up about Bowser taking over the company. Just look at the Mario and Luigi plushies in that picture, haha. Hopefully the new President can infuse his own flavor while keeping the spirit of Nintendo. Personally, I am curious to see if he'd appear in direct and if he'd have some fun with the whole "Bowser" thing. So what do you guys think of this? Link's Awakening is an old game that has had a place in the hearts of many fans. It was released back in 1993. Some projects to remake it and bring it back had been made by the fans, but it seemed like it was one of those games that had long seen past their opportunity for Nintendo to look back. It was then a surprise that they ended the stream to show us a video of what seemed to be a stormy night at the sea and a small boat struggling among the giant waves. This is an animation re-imaging the original opening of Link's Awakening for the Gameboy. Back in the day I always liked the design for Link they had in the Oracle games, so I enjoyed seeing it return for some of the recent Zelda games. It is quite telling that even though the game looks very similar to the way they made A Link Between Worlds the release will take place for the switch. It's aimed to be released sometime this year. The cartoon animation was marked as "Not Actual Gameplay", so I am not sure if this means it was done just for this Direct Presentation, like the fight Link and Pit had to annouce Lady Palutena for SSB4, or if this is a cinematic (non playable moment) and we will see more through the game. So how do you guys feel about this? As noted by the Daily Star, Nintendo of Japan recently posted a job advert recruiting a 3DCG designer to help with the terrain in The Legend of Zelda. The intriguing detail here that unlike past adverts, this time Nintendo is openly admitting it is to work in The Legend of Zelda. It is kind of hard not to get the the wheels rolling in excitement with the idea of the development of the next big title, then again, it could just be for a remake or something on a smaller scale. Either way, it sounds like good news for those of us hoping for more Zelda. What do you think? Over the years we all have seen what some people with alot of spare time, and great computer skills can do with an old Zelda title. CryZENx has been working for years to make Ocarina of Time look great in Unreal Engine 4. I know you have all seen this by now but I thought it would be really cool to show you all what he has done so far. Every update looks better than the previous version. YOU can also download and play what he has done. The download link is on this video via the Youtube video page(inside of his video description). Check it out. For those of you who have been hoping for SNES games on Nintendo Switch online, you may get them soon! The Nintendo Switch online app has been datamined. Twitter user @KapucchinoHeck claims he turned up a list of 22 SNES games. In conjunction, the Twitter user who datamined Splatoon 2 has also came foward, claiming that there are two other emulators with the Switch Online service that are not for playing NES or SNES games. Definitely a lot to digest within a short amount of time. We all knew SNES games would release eventually. At some point we'd have to get N64 games as well, and that is what most believe the third emulator is for. My hope is the 4th emulator will be for Gamecube games. The Gamecube library has yet to be converted to digital, and it was something I hoped for on the Wii U which wasn't done, it'd be insane for Nintendo not to do it within the next few years. 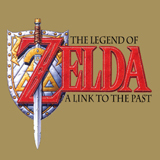 ZeldaCavern.net is not affiliated with Nintendo®. Copyright © 2000-2019, Zelda Cavern. All Rights Reserved.